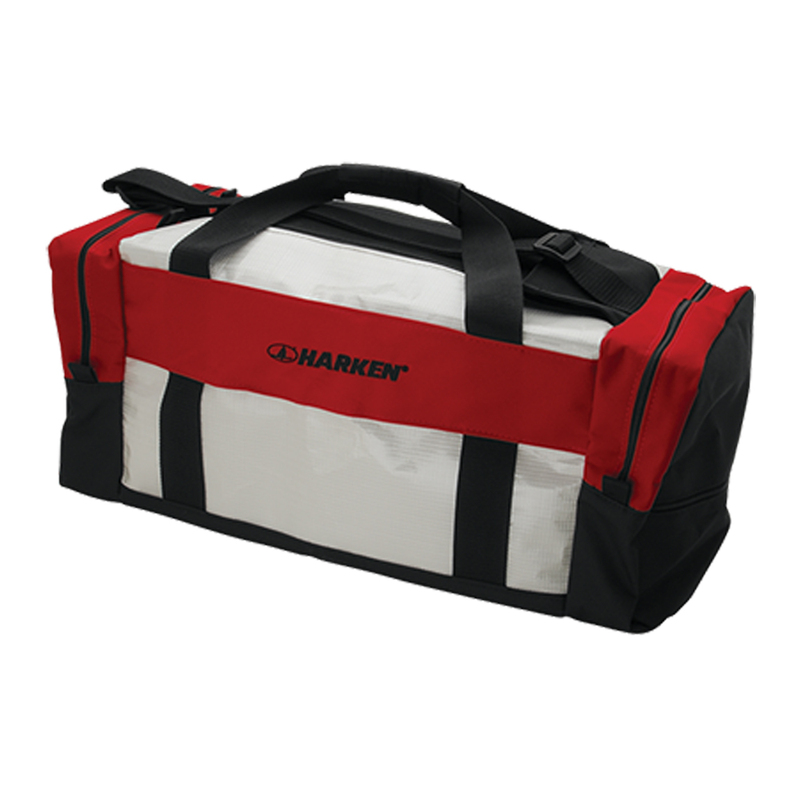 Fully lined, 3-compartment bag with parallel zippers for easy access. Nylon webbing handles and shoulder strap. Colors vary.